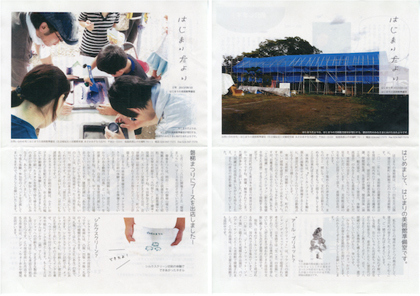 The New Day Charity Fund: Our First Project, the Hajimari Art Center : New Day – There will always be a new tomorrow. There will always be a new dawn. A New Day. Kaikai Kiki is proud to note that the portion of the proceeds raised at 2011’s New Charity auction at Christie’s New York has been used by the Sasakawa Peace Foundation USA to create a “New Day Charity Fund,” the goal of which is to use culture engagement to create a new Tohoku and even a new Japan. We are also proud to announce that the first project to be pursued with the money from the fund was the creation of a museum for “Outsider Artists’ in the town of Inawashiro in Fukushima Prefecture. 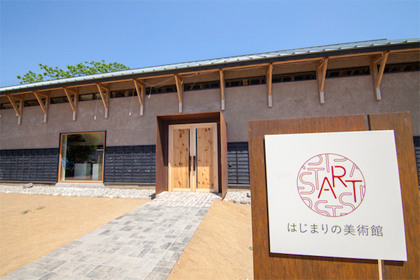 The museum will serve as an exhibition ground for works created by enrollees at Asakaaiikuen, a local organization serving people with mental disabilities, It will also function at the same time as a community space where the locals who lost so much in the disasters can go to build up the energy needed to move forward into tomorrow. In order to achieve this latter goal, the Sasakawa Peace Foundation was in constant communication with locals for over a year as they developed the structure for the curriculum to come. The name Hajimari, which means “beginning” in Japan, comes from the desire to create a new beginning for the entire nation. And the building chosen as a site for the museum is a 127 year old structure called ” Sioyagura,” which once served as a wine distillery. It is a historic building known for its roof, which is supported by a single beam approximately 33m meters in length. 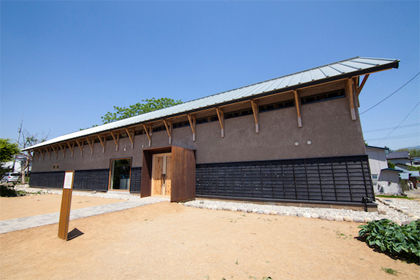 Despite aging and the disasters of 2011, this unique building has remained standing and has now been reborn as a companion for the region and a symbol of the locals’ expressed desire to preserve their history. Below is a shot of the newly restored building with its new timber and walls. As the project has progressed, we were continually reminded by residents that the museum would need to be a place where everyone could gather and one whose mission would not be abandoned immediately following completion. For that purpose, the organizers have worked closely with the community design group “studio-L” to hold workshops and town halls where local voices can be heard. to locals and also posted on facebook. The preparations have truly been optimal. 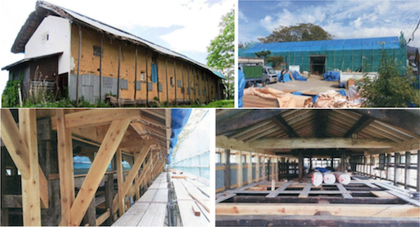 Over the next three years, the New Day Charity Fund will continue to be used to create cultural centers like the above in 6 locations in the disaster struck areas.